A small group of walkers was out and about at Little Assynt on 5th January. The turn-around point was the Viewpoint on the All Abilities Path (NC16372600), where Gwen Richards and David Haines simultaneously spotted a cluster of smooth-skinned puffballs at the edge of the path. They were about an inch across and I thought at first that they might be stump puffballs Lycoperdon pyriforme. However, there was no sign of the dead wood on which these habitually grow, and they didn’t look quite right for that species, so I collected a specimen for expert opinion. Bruce Ing later identified it as an example of the meadow puffball Lycoperdon pratense, which is usually found in dry grassland habitats. Although the species is widespread in the British Isles, records from the north of Scotland are sparse and there are no local records in the late John Blunt’s data-base. 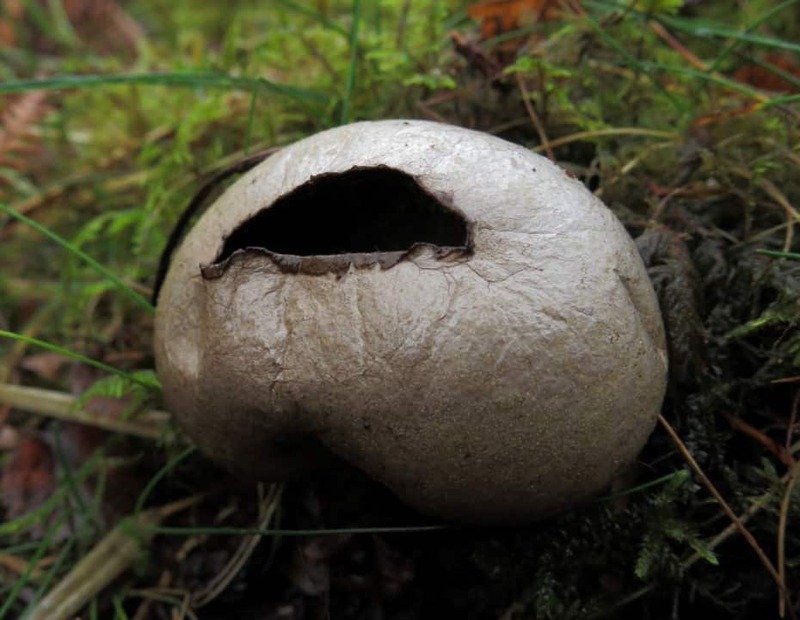 There is quite a variety of species of puffballs and their relatives, the earthballs and bovists, and it is always useful to collect a specimen for detailed examination, preferably one puffing spores, which shows that it is mature.